Your primary dentist may recommend at some time during your lifetime that you visit an orthodontist. This can make some patients nervous, but there is no need to be. Orthodontists are specialists that diagnose, treat and prevent dental irregularities. Orthodontists provide services such as braces, teeth whitening and cosmetic dentistry. Braces is specifically a common reason to visit the orthodontist office, since many people require assistance to align their teeth. Now that you have been recommended or have chosen to visit an orthodontist, these helpful tips will allow you to find the one that is best suited to your needs. Select an Orthodontist – To find a reputable orthodontist in New York City, first seek recommendations from family and friends. Also make a list of the Orthodontist offices in your area that are potential candidates. Remember you most-likely be visiting the office every six weeks, so try to find an office that is conveniently located either close to your home or office. Call or visit each office to assure that they are licensed in the state of New York and they board certified. Next, visit each office for a consultation. Discuss your options, the procedures that are best for you and observe the cleanliness of the office and disposition of the staff and orthodontist. Choose the one office that meets all of your needs and makes you feel the most comfortable. Avoid choosing an orthodontist that has a messy, dirty office, rude staff, lack of credentials and seems like they are in a rush to get to the next patient. Braces – Orthodontics focus mainly on aligning teeth by using braces. Plastic, ceramic or metal brackets, braces and wires are often used to achieve straight teeth. The braces gradually move teeth to the desired position over a specified amount of time. Many orthodontists, such as Dr. Jacquie Smiles, offer Invisalign treatment that is a removable teeth straightening option. Click here to learn more about accelerated orthodontics options. Pros and Cons – The pros to having braces is straighter teeth, less risk of cavities and a boost to your self-confidence. Cons include pain and discomfort, along with possible damage to teeth during the treatment process. Benefits – Reduced stressed on the supporting bone, chewing muscles, teeth, jaw joints and gum tissue are main benefits of orthodontic treatment. More benefits include the less risk of tooth loss, ability to brush and floss properly, better speech, improved chewing ability, good health of teeth and gums, plus an attractive smile. Cost and Financing – Prices for orthodontic procedures range from office to office in NYC. While most orthodontist offices try to keep their prices affordable for their patients, at times, the cost may still be a bit steep for some patients. Not to worry, first inquire with your dental insurance company to see how much of the cost they will cover. Next, inquire with the office of your choice if they offer financing options. In addition to helpful finance offers, some orthodontists offer a discount and you can find specials or coupons through popular discount sites online like Groupon. Be careful of any discount that might sound too good to be true, they may offer the same service, but they may lack in other areas and not give you the high quality service and treatment you deserve. Results – During your initial consultation with the orthodontist, get a clear picture of what your results will be after the treatment is complete. Discuss with your orthodontist if you will be able achieve your desired look or if there will be any imperfections to expect. Begin your journey to straighter, healthier teeth today by choosing a licensed professional that provides high quality service. You can even request to contact some of the orthodontist’s previous patients who are willing to share their personal experience with you. This will help guide you to finding the best suited orthodontist in NYC to help you achieve a straighter, healthier smile. Dr. Jacquie Smiles is a top rated orthodontist in NYC area. She has completed her DMD degree and orthodontic residency at Boston University and after graduation became the first female and youngest Director of B.U.’s Predoctoral Orthodontic Department. Dr. Jacquie Smiles was invited to join Invisalign’s Prestigious Faculty Department comprised of 24 experts from a total of 55,000 practicing dentists and orthodontists. She is a member of The National Speaker’s Bureau and is an Invisalign Super Elite Provider, reserved for the top 1% of doctors in North America. 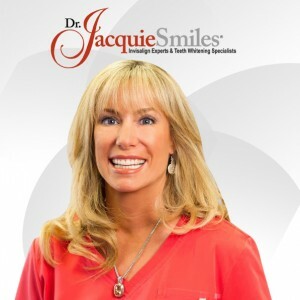 Dr. Jacquie Smiles has taught over 14,000 doctors, students and their teams in multiple areas of orthodontics throughout the world. Schedule your orthodontics consultation with Dr. Jacquie Smiles at her NYC office location. Please call 212-972-3522 or fill out the contact form to receive more information. For detailed office locations and address information, please click here.